Specially designed for new vapers and beginners, CIGPET VOLCA Kit is a new lightweight portable vaping device with internal battery 1500mAh and e-juice capacity of 1.8ml. 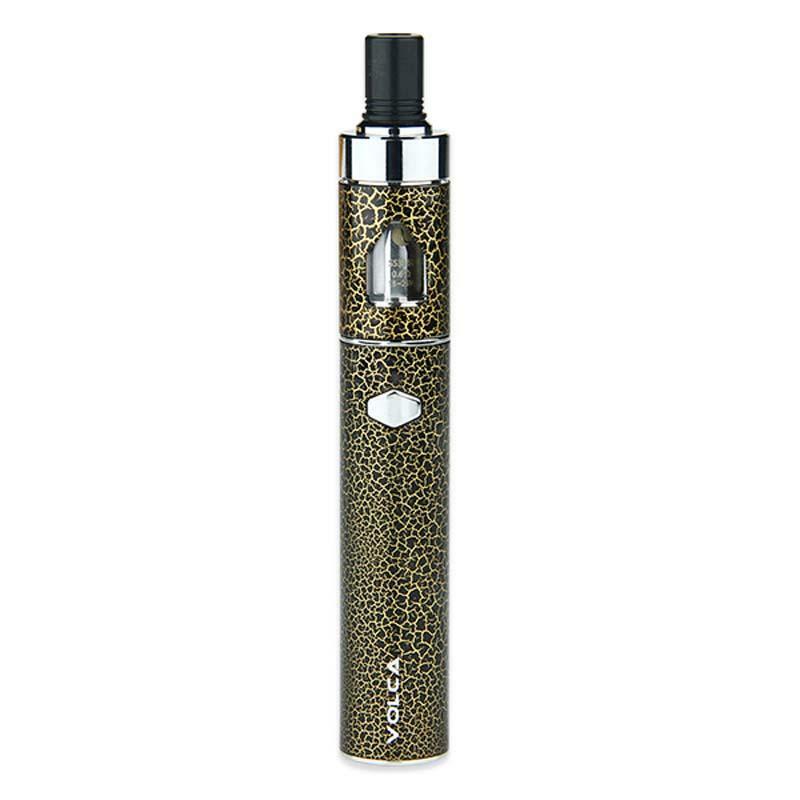 Specially designed for new vapers and beginners, CIGPET VOLCA Kit is a new lightweight portable vaping device with internal battery 1500mAh and ejuice capacity of 1.8ml. The 1500mah battery can meet the daily vaping demand and is featured with overcharge protection, overcurrent protection and overdischarge protection, to dispel your safety worries. Besides, it’s also featured with easy top-refilling, adjustable airflow and one-button design. In a word, it’s a perfect setup as your first electronic cigarette pen kit. Power on and off: Press the button 5 times in quick succession to turn on or off the Volca. Charging: Simply charge it by connecting it with a computer or a wall charger via USB cable. Press the cap to unscrew the atomizer cap, then inject the liquid directly into the cambered slot which is of 1.8ml e-juice capacity. Note: Please drip a few drops e-juice to the atomizer head before it's first use to avoid dry burn. Press the cap to unscrew the atomizer cap, the atomizer head is located on the cap, just unscrew it and replace or clean. Rotating the ring on the atomizer cap clockwise or counterclockwise to adjust the airflow. Very good vapor production as a pen vape. Love my VOLCA. CIGPET VOLCA works well. Good battery life. Nice small tank with easy top filling and adjustable airflow. I'm a pen style guy. Volca is pretty nice and very cheap price now. A small start for beginners. I like it very much. It's worth every penny you paid.